Ford Motor Company has released the EPA-estimated fuel-economy ratings for its new, diesel-powered 2018 Ford F-150 pickup truck. When equipped with the 3.0-liter Power Stroke Diesel engine, the half-ton truck boasts a best-in-class EPA-estimated fuel economy rating of 30 mpg highway. 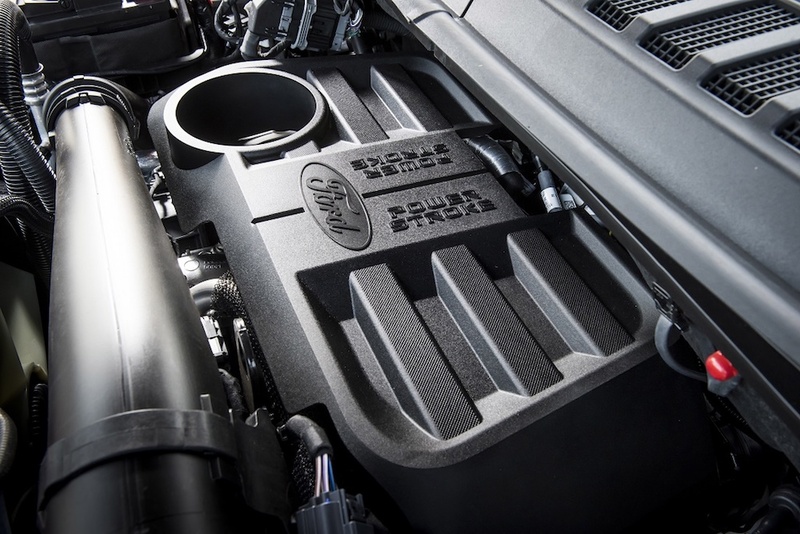 According to a statement released by the automaker, the all-new Power Stroke diesel engine will be paired to a tuned version of the 10-speed automatic transmission it co-developed with General Motors, and deliver 250 horsepower and 440 pound-feet of torque. The Blue Oval claims it has EPA-estimated ratings of 22 mpg city and 25 mpg combined. In comparison, Ford's most efficient gasoline turbocharged engine for the 2018 F-150 is the 2.7-liter EcoBoost V-6, which delivers 325 horsepower, 400 pound-feet of torque, and an EPA-estimated 20 mpg city and 26 mpg highway. "On the F-150 Lariat, with its standard 2.7-liter EcoBoost engine, the walk to the 3.0-liter Power Stroke is $4,000, or $2,400 more than the 3.5-liter EcoBoost option," a Ford spokesperson told The Drive. "On the F-150 King Ranch and Platinum, with the standard 5.0-liter V-8 engine, the walk to the 3.0-liter Power Stroke is $3,000, or $2,400 more than the 3.5-liter option." Ford's utilization of high-strength, "military-grade" aluminum-alloy for the construction of the F-150's body played a crucial role in delivering such impressive fuel-economy figures for a pickup truck. 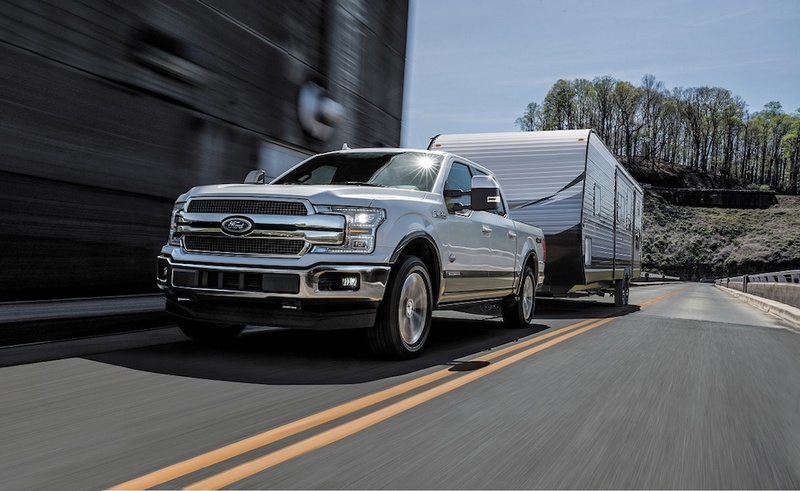 But another area in which the lightweight body and fully boxed frame play a major role in is the towing and payload department, as the diesel-equipped F-150 provides best-in-class diesel towing capacity for up to 11,400 pounds of whatever the heck you feel like towing. Will the Power Stroke engine be worth the price increase? That's up to you to figure out, but we do know that with so many best-in-class claims to its name, it's easy to see why the Ford F-150 isn't just the best-selling pickup truck, but the best-selling vehicle in the United States.